Residents and employees around the Robinson’s Magnolia area can now enjoy affordable Korean dishes as Chef’s Noodle opens a new branch in the mall. 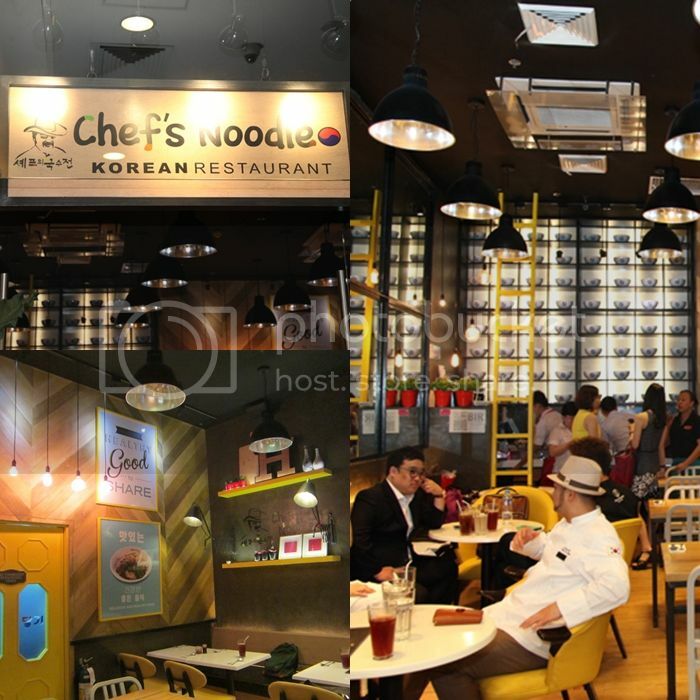 Chef’s Noodle Philippines , the master franchise of the Chefs Noodle branch in South Korea, offer traditional Korean dishes with a modern touch in a casual dining environment. Their newly opened Robinson’s Magnolia Branch has a cozy appeal that combines sleek and modern interiors with cushioned seats. This made me curious if their food is as appealing as their interiors. I got to try some of their dishes after the ribbon-cutting ceremonies for Chefs Noodle Robinson’s Magnolia which was graced by Korean Celebrity Chef Choi In Sun, PiaWurtzbach, and executives of the restaurant. Along with my fellow food bloggers, I got to try a number of dishes which included Ddukbokki Carbonara, Shrimp Twigim, Leek Shrimp Twigim, Pork Bibimbap, Seafood Pajun, Beef and Tuna Starking Sushi, Bulgogi Kimbap, Chef’s Noodle and Stairway to Heaven. 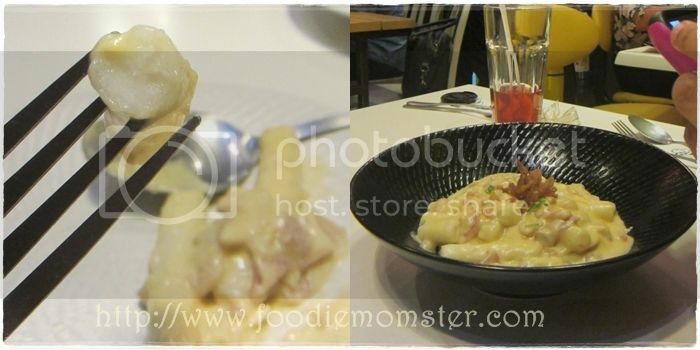 I enjoyed the Ddukbokki Carbonara, or rice cakes in sweet carbonara sauce. I first thought it was the usual penne carbonara pasta with a Korean twist. But it was a pleasant surprise when I discovered that they were really rice cakes. I simply loved it and if I wasn’t pacing myself for the other dishes I could have finished the whole serving. 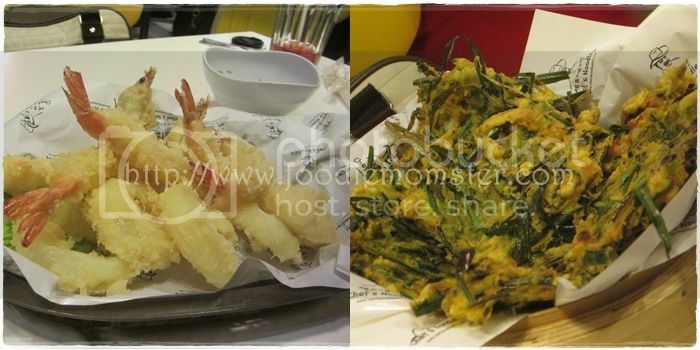 The Twigim dishes are the Korean versions of the Japanese tempura. There is not much difference with the Shrimp Twigim and the shrimp tempura from other restaurants. But the Leek Shrimp Twigim is another story. I would recommend dipping it in the tempura sauce before tasting it as the strong flavor of the leek can be overpowering. However, those who enjoy veggie dishes may enjoy the flavor. 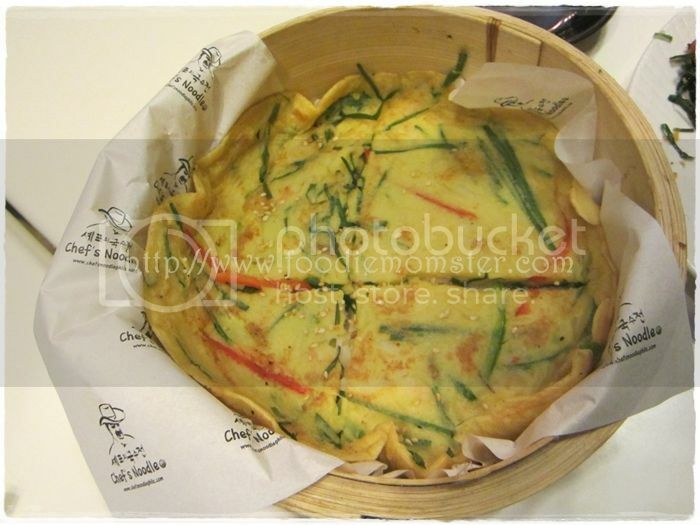 Another dish that I was curious about is the Seafood Pajun or Korean Pancake. This dish is good for sharing and it can be paired with a spicy soup or meat dish. It tasted like a cross between pancake and omelette. Unlike the twigim, the leek flavor in this dish is subdued and I was able to taste the other components of the dish like the bell pepper and shrimp. We also got all three dishes that are included in their Chef’s Choice menu. These include the Bibimbap, Starking Sushi, and Chef’s Noodle. I enjoyed everything in the Chef’s Noodle Bowl which was served with the broth still bubbling. To cap our filling meal, we ordered the Stairway to Heaven dessert. 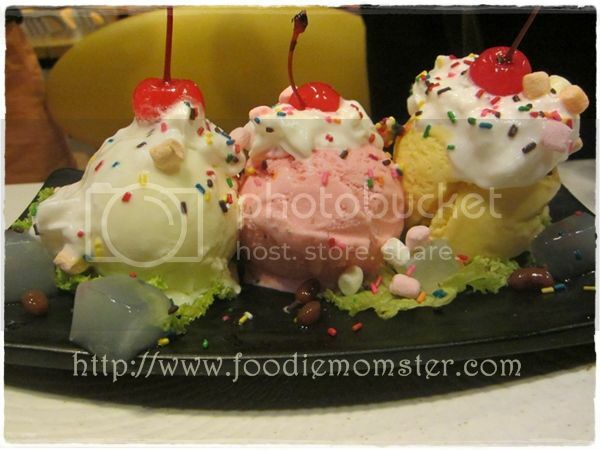 It has three scoops of ice cream (vanilla, strawberry, and mango) with Nata de Coco and sweetened beans on the side. The dessert is topped with cream, cherries, marshmallows and candy sprinkles. It was a typical dessert that kids would love to have after meals or snack on during a hot afternoon. Over all, I would say that Chef’s Noodle is a good place to go for affordable Korean Meals that are healthy and good for sharing. The Chef’s Noodle and Ddukbokki are “must try” dishes in my book. Those who want to witness their food being torched in front of them should try the Starking Sushi. I am also curious about their Beef Curry, Jjampong, and Kas meals. Your blog reminds me of …. dessert. <3 Nice meeting you at the Chef's Noodle event!